The Catalans love their festivals! They fully immerse themselves in the wonderful spectacles, firework displays, street parades and party atmosphere. 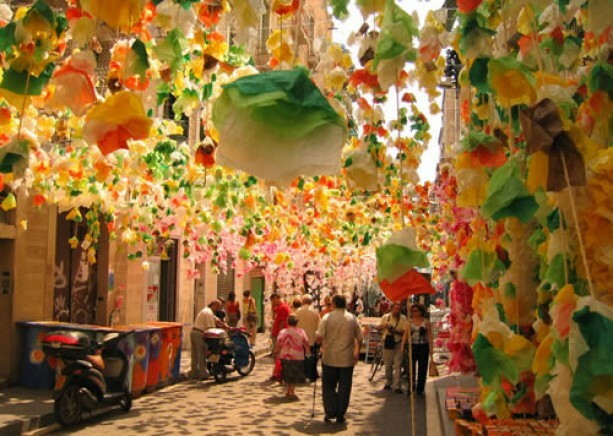 Many famous festivals such as Easter parades, town fiestas, Saints´ days, and flower displays can be enjoyed all over Spain. 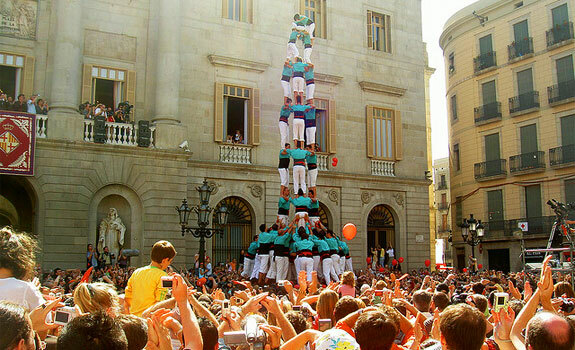 Specifically, the region of Catalonia has its own incredible festivals held throughout the year. Here are a few dates to put on your calendar to ensure you reserve your vacation rental in Spain and don’t miss any of the fun! In the coastal resort town of L’Estartit you can enjoy a wonderful Catalan folk music and Sardana dancing festival held between the 15th and 17th of June. It’s a wonderful way to experience the local music and dancing as all the residents take to the streets to enjoy the party atmosphere. Also held around the 23rd June in all major towns and villages on the coast is the festival of Sant Joan, a summer solstice celebration where bonfires are lit on the beaches and in town squares, firework displays go off over the sea, and music echoes through ancient streets all through the night. One of the most popular festivals you shouldn’t omit when visiting Catalonia is the Habanera. Named after a genre of music brought back from the Caribbean by sailors from the region, these are traditional fisherman songs which are sung in the Costa Brava villages. Every first weekend in July ,the Habanera comes to life in the pretty village of Calella de Palafrugell. Fisherman sail into the picturesque bay on their boats singing sea shanties – a warming drink of cremat (rum set alight) is offered on their arrival to the shore. The evenings are spent on the sandy beaches and in local bodegas, dim lights illuminating the boats as they continue to sail into the cove. Songs are sung and visitors are more than welcome. If you are staying in the region during the month of August, head to see the Habaneras at Portbou, Sa Riera and other areas along the Costa Brava. In L’Escala during the last weekend of August you can enjoy the Festival of Giants – men and women dressed as giants parade the streets in a weekend full of fun and laughter. The myriad of festivals continue into September. Take a trip to Begur where the Indianos Colonial Fair occurs. During the 1800s many people of Begur began a pilgrimage to the new world to seek their fortune. Many townsfolk remained there building business and colonial mansions where they settled with their families. This festival celebrates the town’s ancestry connection with the Caribbean island of Cuba and the people who left from Begur to experience a different slice of life. In the beautiful coastal town of Cadaques you can enjoy the summer festival, Catalan folk dancing, music, activities and games for children and plenty of firework displays. The Catalan National Holiday is held on the 11th of the month in most towns and villages across all of Catalonia. The date commemorates the end of the siege of Barcelona by the Spanish. If you are planning on reserving a Costa Brava vacation rental, this summer these are just a few of the local events you won’t want to miss.